Approaches to ecodesign and design for sustainability have been around for a while, but many designers are still uncertain about where to begin, and how far to go. Experts Philip White and Louise St. Pierre will walk participants through phases of the design process that offer the largest opportunities for reducing environmental impacts. They will demonstrate powerful tools and approaches from sources including Okala Practitioner. Questions from webinar participants will be answered with suggestions on approaches to resolving specific design challenges. This session explores ecodesign approaches in greater depth, from recent initiatives such as Design for the Circular Economy to social innovation for sustainability, and strategies for reducing ecological impacts in various phases of a products life cycle. This encompasses a wide range of potential applications in different product and market sectors, with examples from industry and academia. Communication with participants between sessions will be encouraged and questions from the first session will be more thoroughly explored. 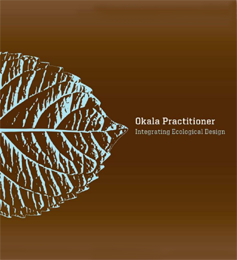 The Okala Practitioner guide supports working designers and students with practical methods for designing products, services and systems with low impacts to ecological health and human health. Developed over the last decade by ID professors Philip White, IDSA, Louise St. Pierre and Steve Belletire, IDSA, the tools and information in the guide have been significantly expanded and revised from previous Okala guides, support informed dialogue and responsible decisions with clients, supervisors and design team members. Systemic tools such as the Ecodesign Strategy Wheel and life cycle assessment (LCA) help designers see a more complete view to steer their work towards more ecologically responsible behaviors and designs. Okala Impact Factors are a designer-friendly form of LCA developed with robust North American science. They enable quick “back of an envelope” decision making, so that an understanding of ecological impacts can be factored into design decisions early in the concept phase. Okala Impact Factors have been calculated for an expansive range of materials and processes that enable modeling of environmental performance over the entire life cycle. Core methods are clearly indicated for designers with limited time. White researches methods that find new opportunities to add value in the life cycle of products while reducing environmental impacts. He is the principal at Orb Analysis for Design, and Associate Professor in The Design School and Senior Sustainability Scientist in the School of Sustainability at Arizona State University. St. Pierre is an Associate Professor of Design at Emily Carr University in Vancouver, Canada. 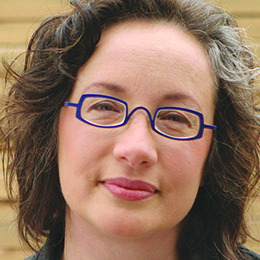 She is the recipient of numerous grants and awards for her work on sustainable design, and researches social change for sustainability, product longevity, and the relationship between natural systems and design.